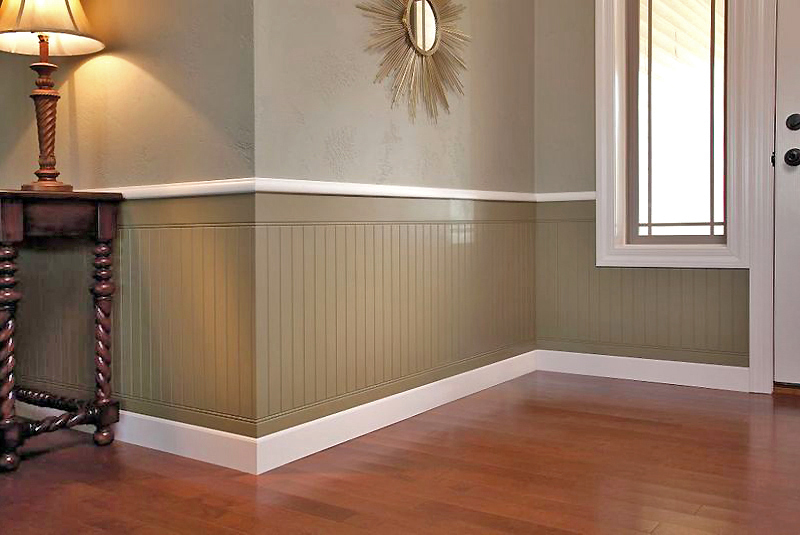 There’s a great variety to moulding and millwork. 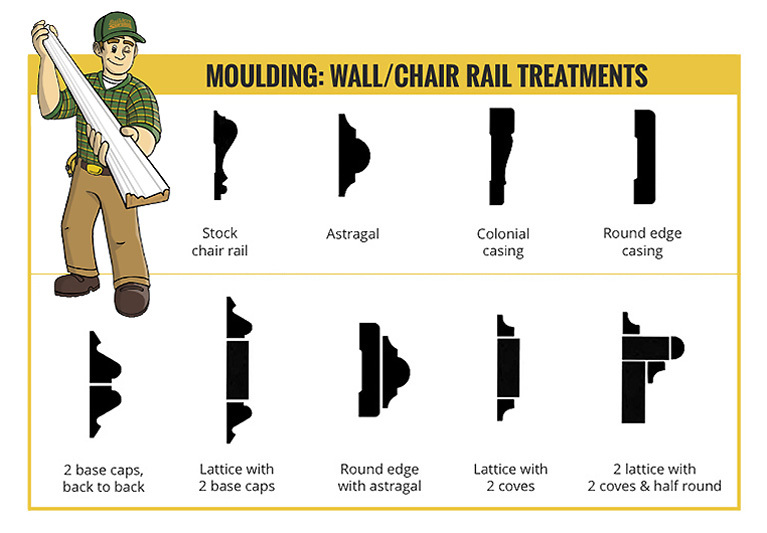 Featured here are wall moulding build-ups. 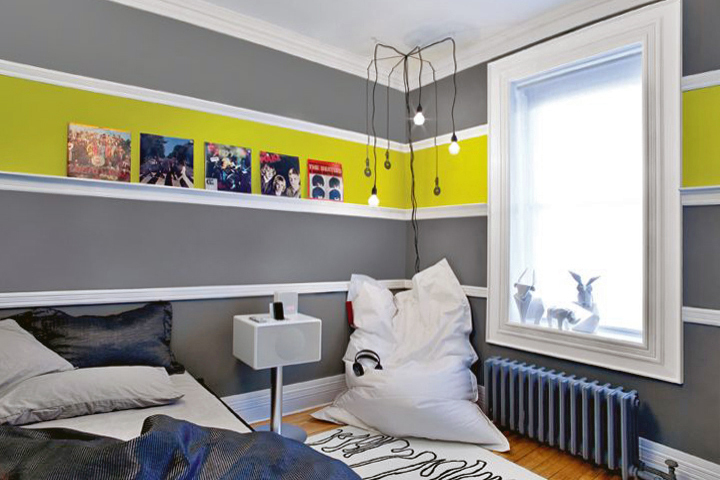 Max T. Value says you can keep it simple or let your imagination run wild to create an ornate wall treatment. 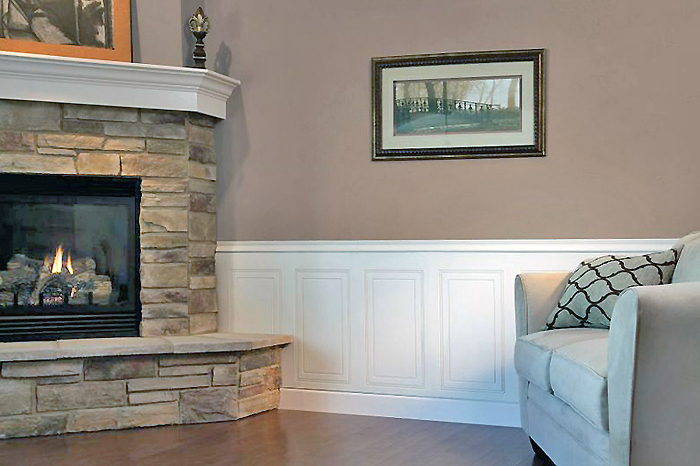 Add a chair rail to create drama with contrasting or complimentary colors above and below. Take that idea a step further by introducing a simple or ornate lattice pattern below the chair rail. Or place visual interest nearer to the ceiling with a plate rail. It’s a wonderful way to show off heirloom china or family photographs. Give a plain door a totally new look with a design created with moulding. Need a new kitchen, but not quite ready to remodel? Update cabinets with a touch of moulding until your dream kitchen becomes a reality. Need ideas? Stop by any Builders Surplus location to speak with an associate about great decorative suggestions for any room in your home. You can create the home you want without breaking your budget.